Last month, I was happy to be a contributor to a helpful article on one of my favorite topics, organizational ideas, that ran on a great, well-known website, SheKnowsPARENTING at SheKnows.com. 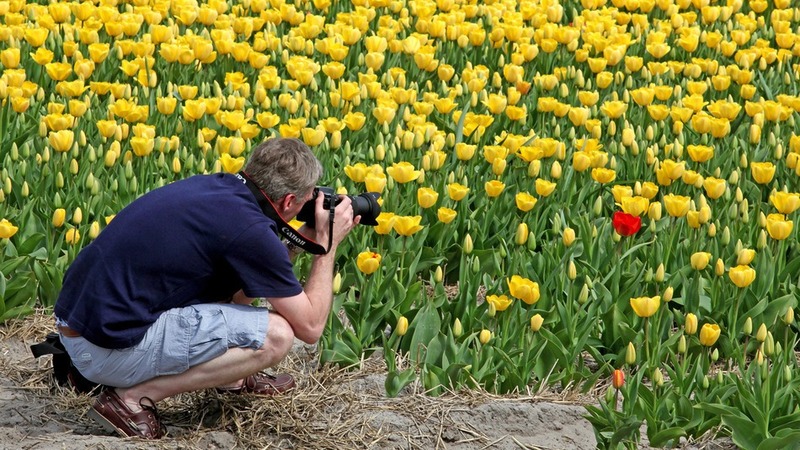 This month, I had fun sharing tips for photographing flowers indoors and out on the popular site, Mashable on Mashable.com. Both of these spaces allowed me to weigh in on topics that I deal with every day and share them with an even larger audience. In case you missed either article, I wanted to post them here for you to check out. Hope you enjoy both pieces as much as I did. I love how the summer season brings with it longer, lazier days, having shed the structured schedule and hard-fast routine of winter. The warmer months mean more outdoor gatherings, impromptu dinner parties, afternoons by the pool and late days turned into sunsets and pizza by the ocean. For Emma, that also means more naps in her stroller, fruit and yogurt in the car on our way to the beach or blueberry muffins outside a coffee shop super early in the morning just to catch the very best, most quiet part of the day. It means less home-cooked meals and more shared sandwiches eaten quickly during the brief adult-swim. More colorful, ruffled wet bathing suits lined up in the sun and less clean, dry outfits that last a whole day. 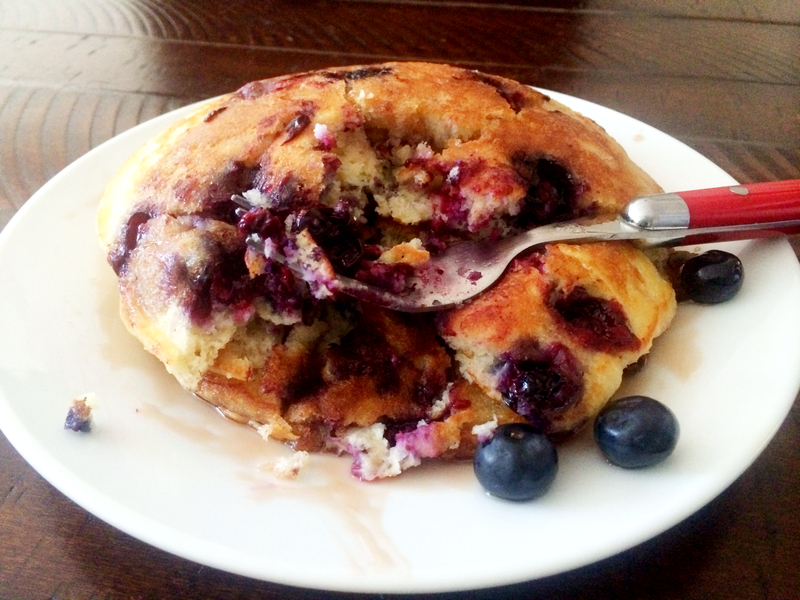 So, today was a blueberry pancake kind of Sunday. Sometimes I feel I owe it to Emma to hit the pause button. We have had such an awesomely hectic June so far and July and August promise to be just as fast-paced. But having her around reminds me that we still need to slow down every once and a while. 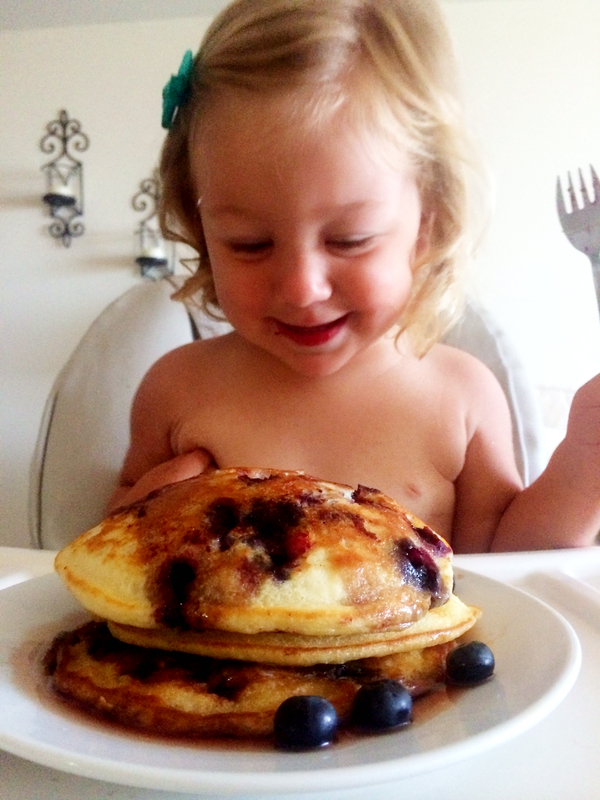 Even if that means whipping up a batch of her favorite breakfast care-of fresh blueberries and a box of store-bought mix. 1. Pesto Pasta Salad – A few weeks ago, I did a party that had catered their food from a cafe and grill now located in the town where I grew up. 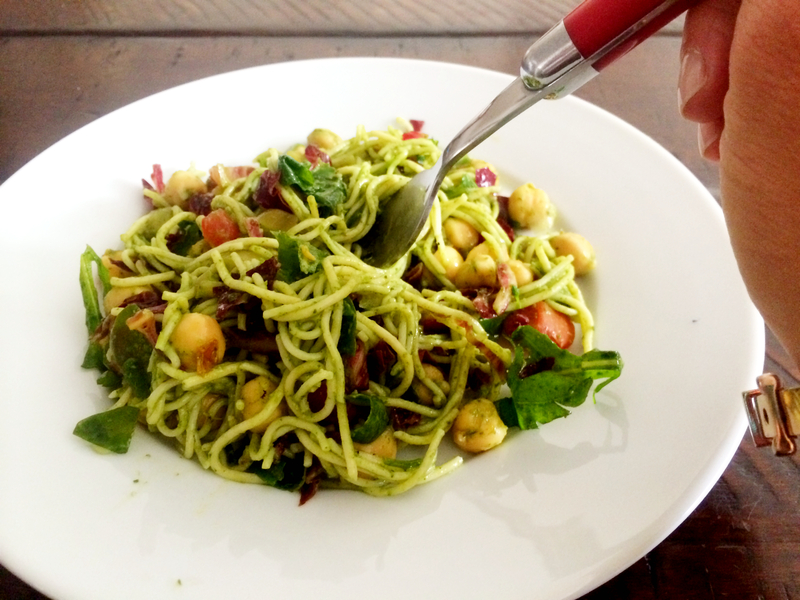 All of the food was delicious, but the one dish I kept going back to was the pesto angel hair pasta salad with greens, chickpeas and tomatoes. This was a light, fresh, tasty side I knew I could make into a meal. I have visited the restaurant a few times since to grab this pasta salad that is only served at lunch. 2. 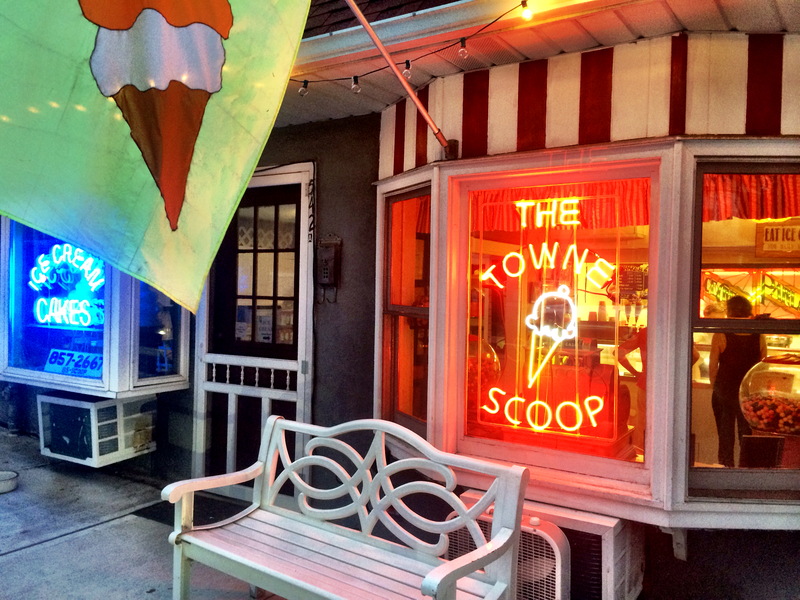 The Towne Scoop – It’s funny how you can suddenly discover a place that’s been there all along. 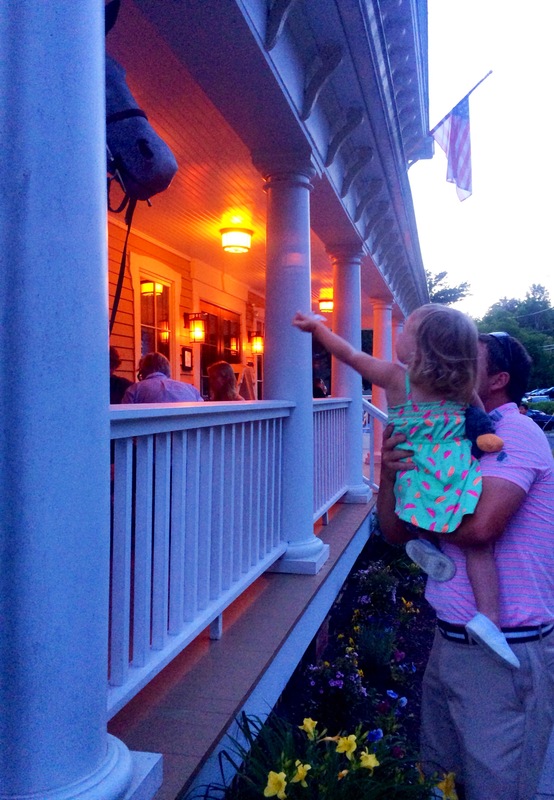 We visited this cute old-fashioned ice cream shop for the first time recently. It has a simple menu of home-made flavors, low prices and short lines. 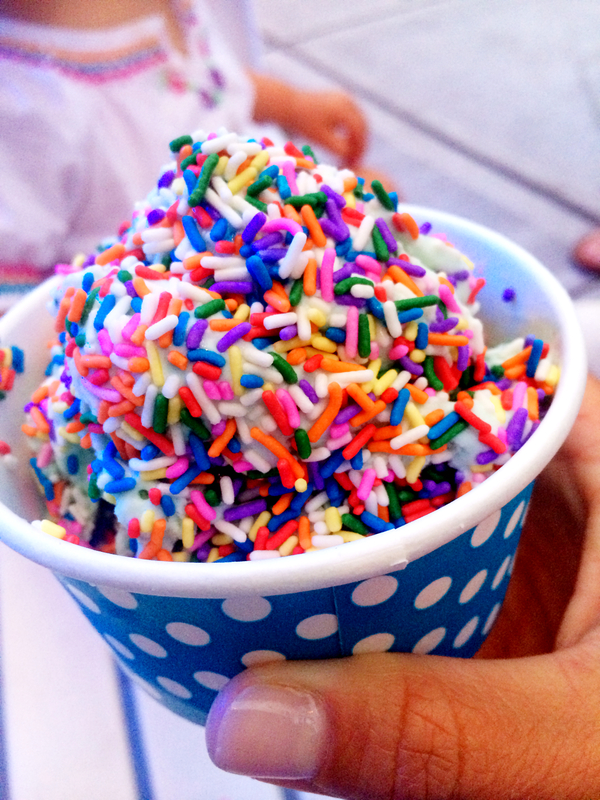 The perfect way to cool down on a summer night. 3. Picnics in the Park – The other day, on our way to the pool, the sky got increasingly cloudy, so Emma and I made a detour. 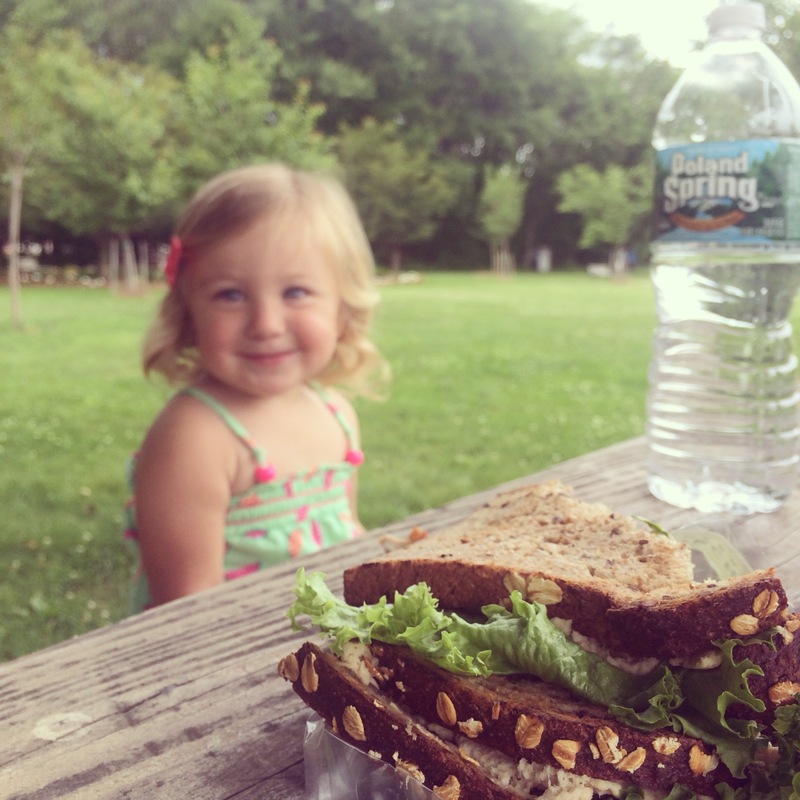 We stopped to grab lunch and ate it out of brown paper bags outside at a picnic table. She ran around the lawn, stepping carefully in between flower beds and I watched her wondering why we didn’t do this more often. We never made it to the pool, but it was a pretty great afternoon. 4. The Gladstone Tavern – We drive about 30 minutes to grab a table at this place, but we love the route that we take to get there and the way back as the sun sets. The meals are always great and their desserts are equally as special, like the sea salt caramel campfire s’mores. 1. Goldfish – I read somewhere online recently that goldfish are the currency of toddlers and this could not be more spot-on when it comes to Emma. 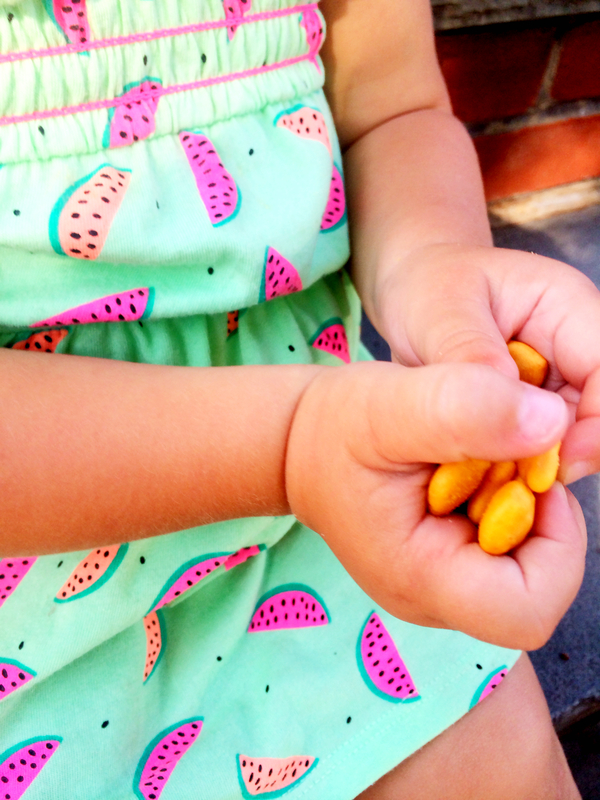 She is rarely spotted without a sealed container of these cheddar snack crackers within arms-reach. 2. 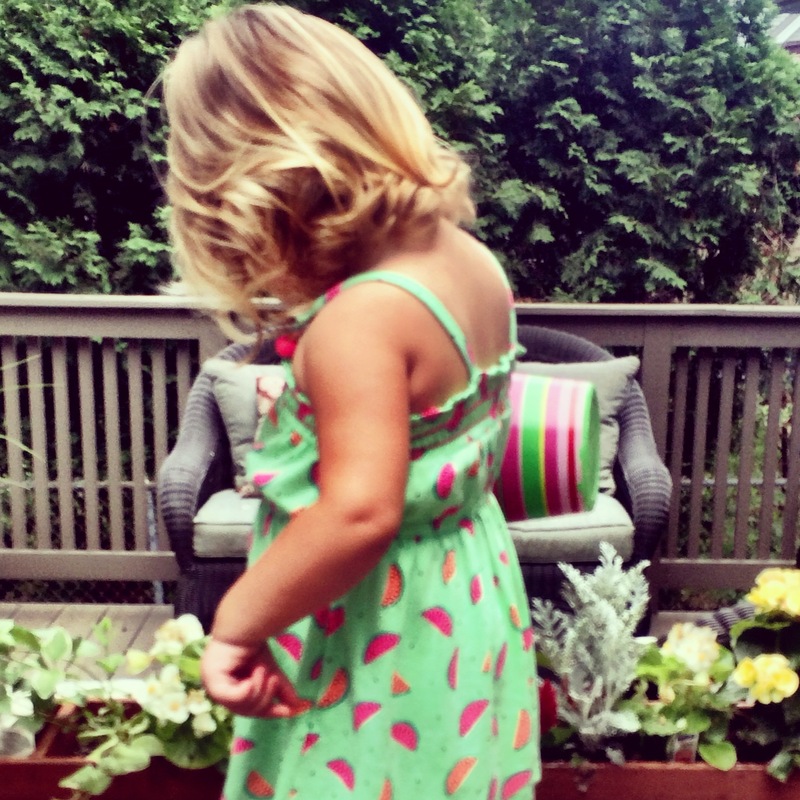 Watermelon Print Dress – This week we got a package in the mail from Emma’s Gigi and it contained this cute watermelon print dress. It is the ideal dress for the summer and this mint green happens to be one of my favorite colors on this little girl. 3. 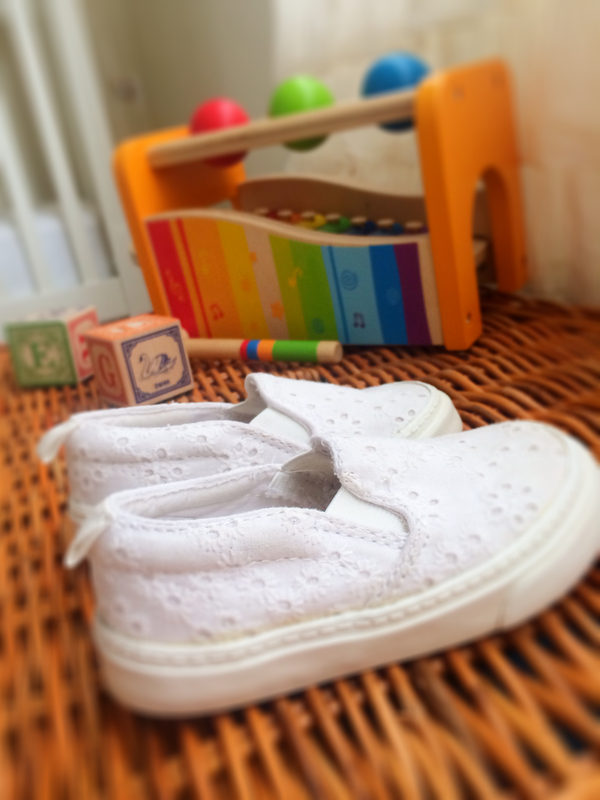 Eyelet Slip-Ons – We had to retire Emma’s favorite pair of white low-top converse last week because her once tiny feet are growing with the rest of her. We traded them in for more season-appropriate closed-toe shoes: white eyelet slip-ons from the GAP. 4. Denim Cut-Off Shorts – The other week, I had posted about my own pair of denim cut-off shorts that have become a staple in my summer wardrobe over the past few years. This kid version in a lighter shade, a worn-out white, is so perfect for the warm weather and they go with everything. The lace details at the bottom are a sweet touch. 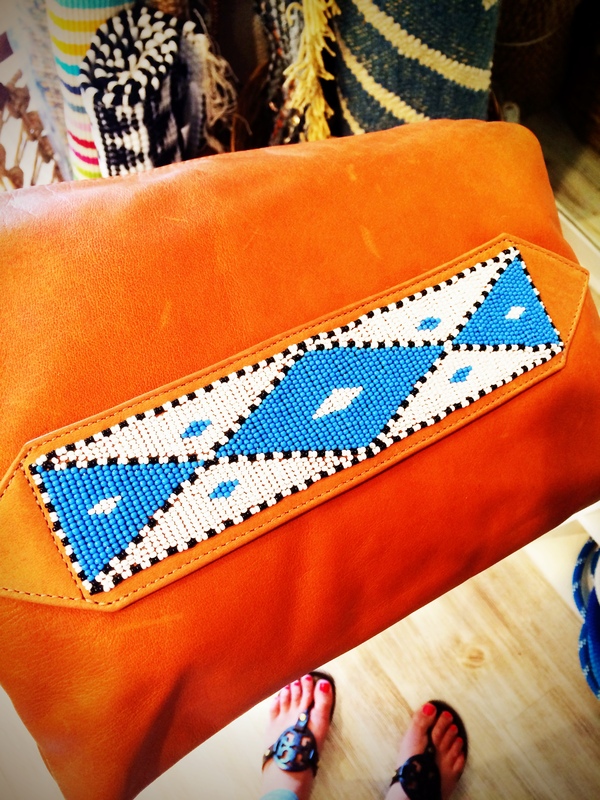 Recently, I have been gravitating towards beaded bags, hats, belts. Beaded everything. Maybe it’s the painstaking amount of time and attention to detail that went into hand-making each piece. Maybe it’s the way the tiny, colored specs come together to create a unique, one-of-a-kind pattern. Either way, or probably because of both, this trend is hard to pass up. Here are some great beaded beauties I came across this past week. 1. 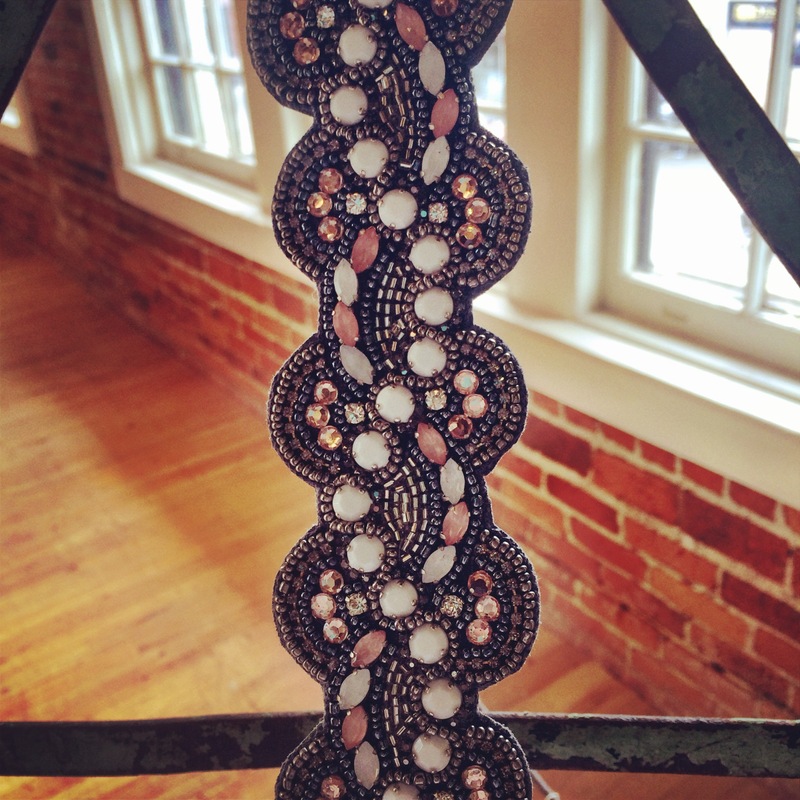 Beaded Belt – Belts are a simple way to add flare to an old dress. They can also punch up a solid color like stark white, slate gray or black. This beaded belt has a one-button snap-closure and the band is elastic, so it offers a flexible fit. 2. 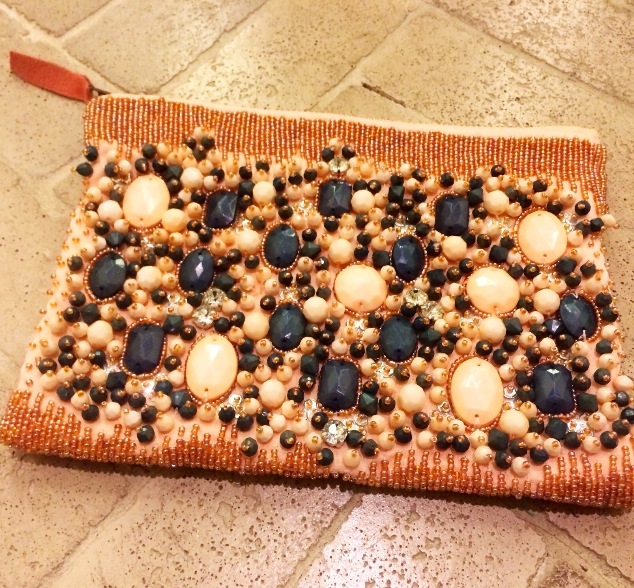 Matonyok Clutch – A beautifully crafted and roomy beaded and leather clutch that is part of a whole line of accessories made by the women of the Maasai community provides them with a sustainable income. Each object is constructed with love and 10% of the proceeds are donated towards girls’ secondary education and women’s healthcare in southern Kenya and northern Tanzania. 3. Sparkly Pouch – This slouchy bag from Anthropolgie has a zip-closure and is adorned with tons of beads in different shapes and sizes. The peach and green hues are fun for summer and a flattering mix of colors. 4. Bead Embroidered Bracelet – I stumbled upon this jewelery designer when I was in Maui with family this fall. She hand-crafts each item and carefully sews every bead into place. The colors combinations are stunning and each creation is one-of-a-kind, mixing vintage stones, beveled glass and steel cut beads. This artist also has an Etsy shop, so it is easy to check out her latest treasure.